Let’s check this out. Write out on a piece of paper what guilt means to you. Synonyms are criminality, blameworthiness, reprehensibility, censurability. Now ask yourself, is guilty the right word for what you’re feeling? If not, what would be a better word? How about the word responsible? “I feel responsible for not getting there on time.” Is that an appropriate question if you arrive thirty minutes late? Sure. What could you have done differently? Not shoved in one more errand that threw you off schedule or answered those three more emails? The next time the better choice (if not being late is of priority for you) would be to leave more time in between commitments, stop checking email, don’t take the call that voicemail could pick up, etc. 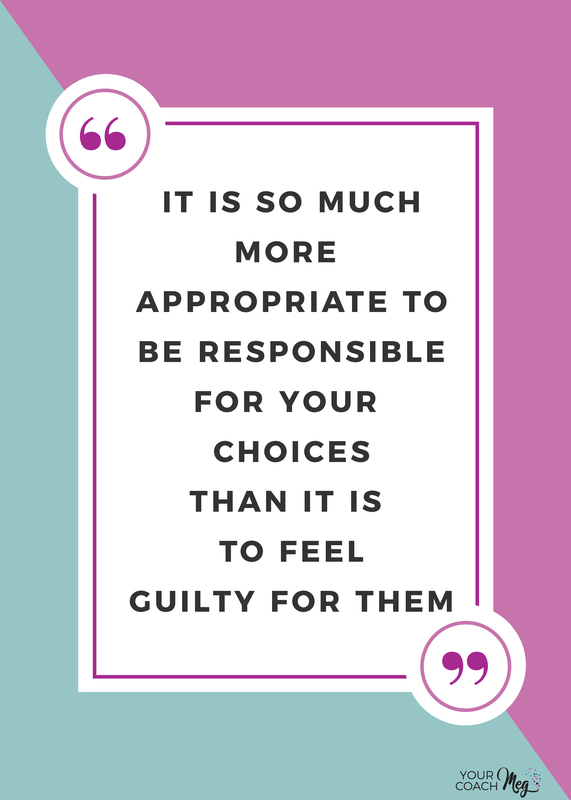 Those are all choices that you can control, that you are responsible for. On the other hand, if a traffic accident occurs, you can’t control that, so you needn’t feel guilty. Guilt is a Key Inhibitor to Joy. ...and inhibiting joy in your life is the very last thing I want for you. Life it too short for it and your time on this earth is too fleeting to be wasting it not being your very best. 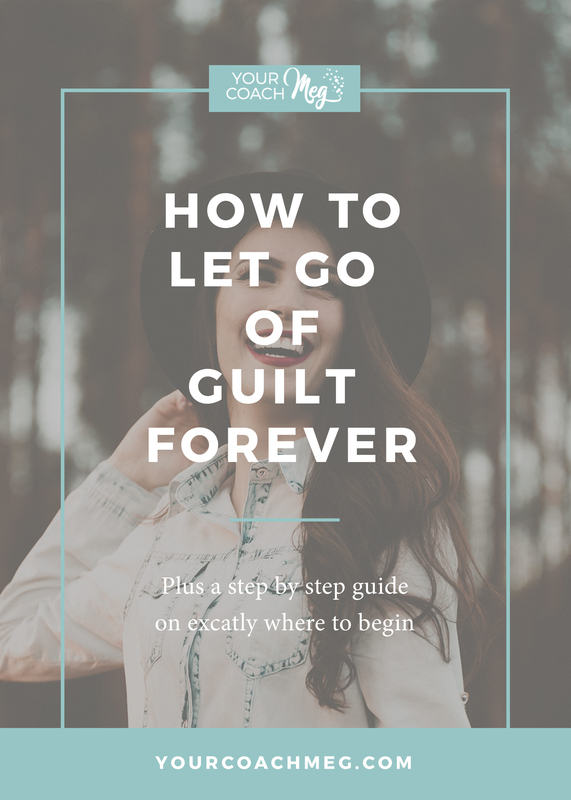 I understand that letting go of guilt is easier said than done because feeling guilty is also a habit formed in life that you need to be replacing with a healthier, more appropriate emotional response. 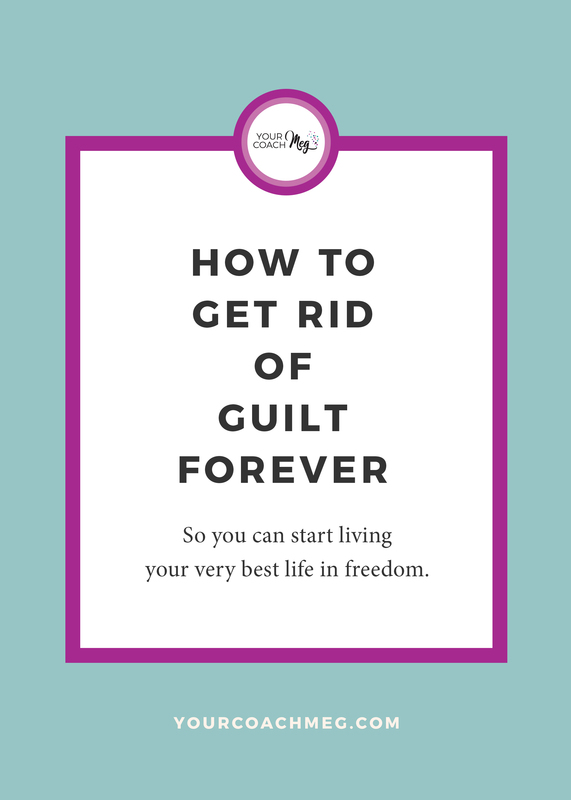 I hope it helps you to be able to look at guilt through this new lens and understand that really it is responsibility that you are feeling more often than not… not guilt. AND you have every bit of control over what choices you make in responding to that responsibility and in acting on those healthy choices. Try this new approach the next time you begin to feel guilt over a situation or circumstance. I hope it motivates you to make healthier choices as you pursue a joy-filled, intentional life day by day, moment by moment. What makes your "guilty" feelings kick in? How can this approach help you? Tell me all about it in a comment below!